I fully admit it, I’m a food snob. Bake from a mix? Never! However. Since going gluten-free over five years ago, baking from scratch seemed, well, exhausting. So I turned to mixes and foond so many that I loved: Gluten-Free Pantry, Namste, Cherrybrook Kitchen were some early faves. In the past few years, even more have entered the market with alacrity: King Arthur, Betty Crocker to name but a few. 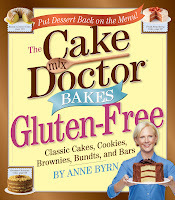 So even though my first instinct when Workman sent me a copy of The Cake Mix Doctor Bakes Gluten-Free by Anne Byrn was: “Moi? Bake from a mix? 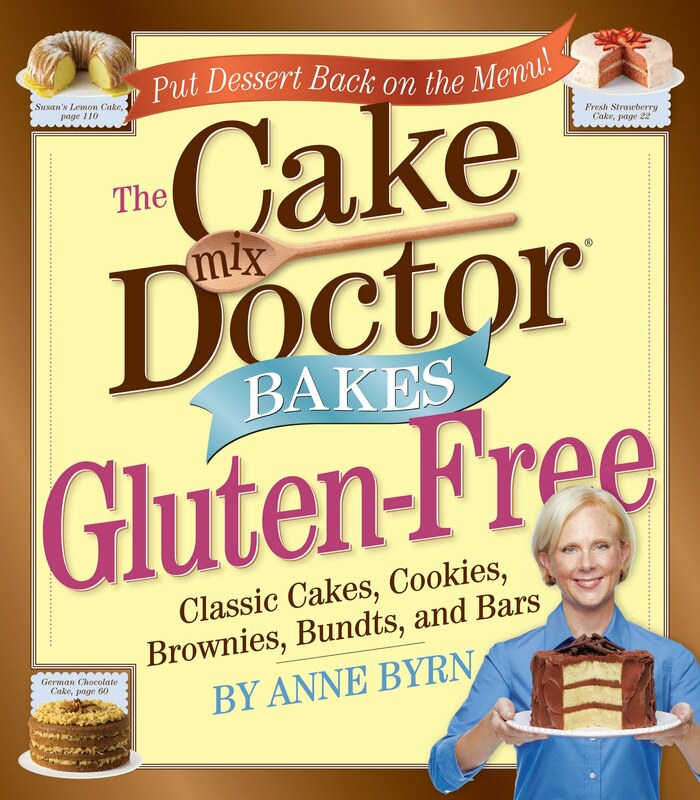 Never!” I realized I’ve been happily baking from allergen-free mixes for a quite a few years now and this book was exactly what I was looking for. Byrn cleverly takes 15 ounces of any GF mix (she uses Betty Crocker or GF pantry) and goes crazy, making cookies (from a cake mix yet), red velvet from yellow cake and fun stuff from brownie mixes. I made a variation of the Pumpkin Spice Cake - I used 15 ounces of Namatse Spice Cake mix and just added ginger. And I made them into cupcakes not cake. 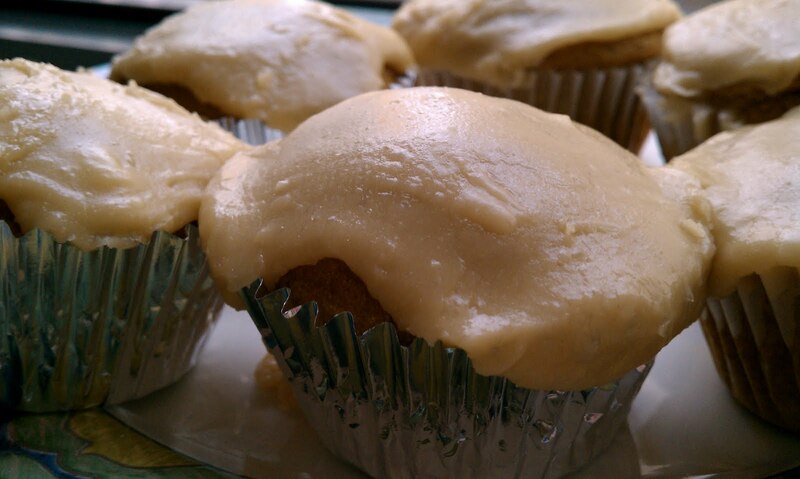 I iced them with her caramel recipe (no recipe included and not as successful as the cake itself). The cupcakes were beyond delish, thanks to Namatse Spice Cake mix's base. I look forward to trying more of this fun and easy tome. In the meantime, here’s the recipe I tried so you can go play! 1. Place a rack in the center of the oven and preheat the oven to 350°F. Lightly mist an 8-inch square pan with vegetable oil spray and set the pan aside. 2. Place the cake mix, cinnamon, ginger, and cloves in a large mixing bowl and, holding the beaters of an electric mixer in your hand, whisk them to combine. Add the pumpkin, oil, eggs, and vanilla, attach the beaters to the mixer, and beat on low speed until the ingredients are just incorporated, 30 seconds. Stop the machine and scrape down the side of the bowl with a rubber spatula. Increase the mixer speed to medium and beat the batter until smooth, 1½ to 2 minutes longer, scraping down the side of the bowl again if needed. Pour the batter into the prepared pan, smoothing the top with the rubber spatula, and place the pan in the oven. 3. Bake the cake until the top springs back when lightly pressed with a finger, 40 to 45 minutes. Transfer the pan to a wire rack and let the cake cool completely, 20 minutes. Keep It Fresh! Store the cake in the pan, loosely covered with plastic wrap, in the refrigerator for up to three days. Freeze the unfrosted cake, wrapped in aluminum foil, for up to one month. Let the cake thaw overnight on the kitchen counter before frosting or glazing.